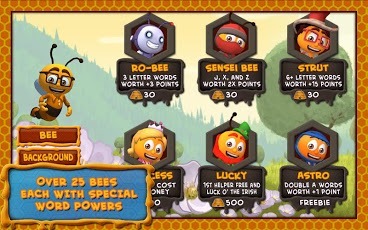 Bee fast, Bee accurate and Bee ready to swiftly construct words when the clock starts! 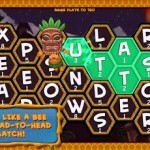 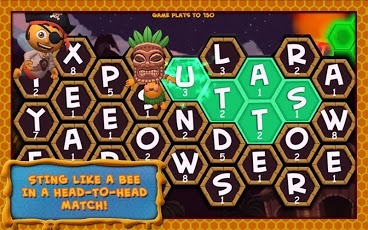 Word enthusiasts will buzz about this fast-paced word jumble where the challenge is to score big by creating words, words, and more words!Get Slick and earn an extra 50 points for playing words with “ick” in them and don’t get stung by the competition when your opponent unlocks Tiki bee-cause the letter “K” is worth double points. 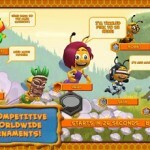 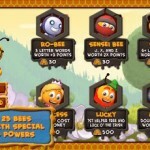 Bee social in the head-to-head mode where you play against friends using Facebook or Bee adventurous through an entire journey of words in the challenge mode. 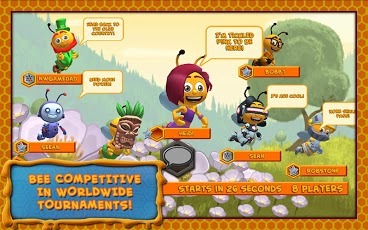 Bee competitive in the tournament mode to see how you stack up against thousands of players around the globe in real-time!